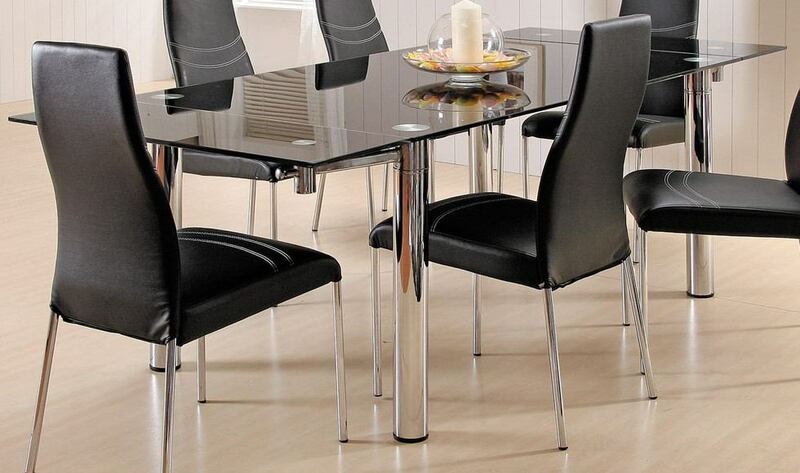 This stunning Moderno Rectangular Glass Top Table is the perfect choice for a contemporary dining room. The elegant tubular metal base legs give the table a modern flair. The smooth beveled glass table top above adds just the right amount of chic style, for a casual contemporary look that you will love. The table boasts two 12 inch extension leaves to accomodate more guests. Showing off a breathtaking appeal, this contemporary table is sure to impress with its smart look and practical function.